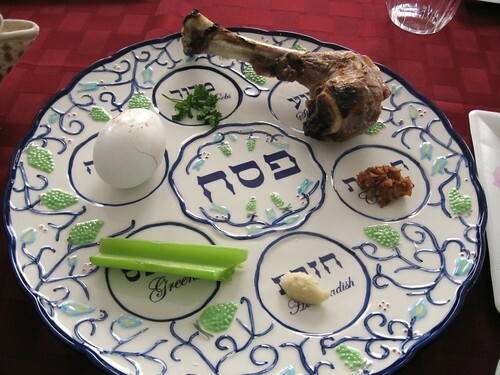 For those of you that celebrate Passover I would like to wish you and your family a Happy Pesach. I will be a scarce the next few days while observing the holidays with my family. When I get back I will be catching up on e-mails. It is also time to announce winners of some giveaways. Sarah, Heidi and Bing were the lucky winners and should be receiving their coupons in the mail any day now. Hopefully they will enjoy this product as much as I have. Seriously, it makes cleaning that much easier. Killashandra’s information will be passed along to the sponsor and it should arrive in time for her new little boy’s arrival. Do not forget to enter my Exergen Temporal Scanner and Tie Buddies giveaways. Moisture is moisture and I wish we had more here in NM. I wish I’d brought rain or snow back with me from Chicago as all that’s here right is wind wind and more wind. Blessing to you and your family! Can’t wait to see the pictures when you get back! Susan’s last blog post..Beyond the Beyond. I’ve enjoyed your Passover posts. I think too many Christians forget that Passover has such significance for us as well. Thanks for sharing! Kim’s last blog post..He’s Alive!